J Royal's doors opened in 1952 and it has consistently grown since then to become a recognized world leader in solutions for O-Rings and seals. The base of our customers has also expanded to include virtually all sealing applications and market categories. We partner with numerous customers, creating custom solutions and parts geared to their unique needs. We develop designs, designate materials, recommend specifications and develop and test prototypes, carrying the process all the way through final certification. We are an ISO 9001 Certified company with a comprehensive laboratory and a Certified Quality Engineer on staff. Because we work with extensive and diverse markets, we’re experienced in a multitude of the compliance programs that today’s manufacturers require. We believe customer service is crucial and we're renowned for responsive, knowledgeable attention to your most stringent needs. Through the decades we've established close relationships with our customers, and our familiarity with their unique needs makes our service even more efficient. 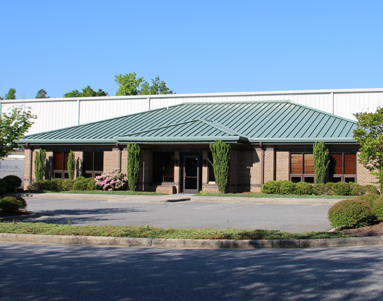 We have two different facilities to serve you in Tallassee, AL and Clemmons, NC. You can always depend on J Royal for the highest quality products, broad-based logistical support, extensive distribution capabilities, unequalled expertise, leading-edge engineering and superior customer service.